Rehearsals are on Wednesday evenings from 7:30-9:00 pm in the music room January through May and September through December. 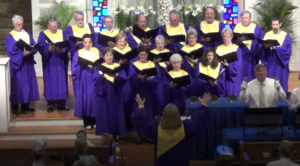 Jubilate Choir sings most Sundays at the 9:15 worship service. Our new season begins on Sunday, September 6.